I feel at least some relief. On Monday, a Chicago Developer held a meet and greet. It was so very nice of this group to do this. They’d set up shop at a bar, ask that neighbors join, and share the details of their massive suburban style development. Eye witness reports tell us that four people showed up. On Tuesday, a crowd of 100 or more gathered at the Walworth Town Hall to listen to the Developer from Geneva, Illinois once again pitch his suburban proposal for our rural lands. The anticipation was rivaled only by the resignation in the eyes of those present. Resignation because the crowd was overwhelmingly opposed to this development, excepting the three hands that were raised when the crowd was asked who favored this development, and the expectation was that the board would continue to subscribe to the will of the developer over the will of the people. No matter that those in favor included one who worked for the Chicago Developer, one who has worked for the developer, and one who likes to talk about rural life but apparently doesn’t want it to last. The Developer was so pleased with his Monday meet and greet that he brought it up at the meeting, as if it was a triumphant civic display of warmth. I spoke, the crowd spoke, but no one knew if the board was listening. The developer spoke of conservation and of Chevy’s, then again of parks and roads and sewers. He pointed to his maps. The board listened. But when it came time to vote the board surprised and one by one they voted no. The crowd erupted in cheers. The developer hung his head. At approximately the same time, the City of Delavan (apparently) denied this same Developer’s request to extend city water to another large suburban development on the northwest side of Delavan Township. Two weeks ago, the Village of Williams Bay told us that the attempted condominium project on the Keg Room site was dead. The Developer from Kane County is having a very bad month. As the Walworth Town Board explained to the developer that the lots were just too small, the number too many, it was obvious to me that Walworth County finally found some footing in this battle against development. The Walworth Town Board had, just months prior, ushered this development forward to the plan commission, who approved it unanimously. The change from then until Tuesday was overwhelming community outcry, a rejection of the agenda of a suburban developer at the expense of our rural lifestyle. The board was shown that overdevelopment has become a pandemic in Walworth County, and that the only way to stop it is one development proposal at a time. Walworth County is a lot of things to a lot of people. The 102,000 people that call this place home love it for various reasons. Some moved here to enjoy life lakeside. Others moved here to have a five acre plot with a barn and some chickens. Others still, like me, grew up here and never felt the allure of big city lights. This county is, at its very core, rural. The county was rural before it was a tourist destination, and it was a tourist destination before it had any industry. Today the county is a healthy mix of those three, but what keeps it bucolic is the rural nature of the lands surrounding the lakes. Imagine Geneva Lake. Imagine the ring of deciduous green surrounding it, the interwoven nature of large and small lake homes, of old ones and new ones. Rejoice in the magic of that mix. Then, imagine what the area would feel like if not for that ring of agriculture that surrounds the lake. Imagine field after field of ranch homes, from the border to the lake. Imagine how the drive would feel, how the views would hurt our eyes. Imagine how different this place would be. Proponents of uncontrolled development tell us that development is necessary, that progress is unavoidable. They tell us not to be so sensitive, not to sensationalize the removal of one 110 acre farm field. There are other fields, they say. They tell us that they were here when those fields were as they are now, and they tell us that we cannot stand in the way of development. Development, they say, will happen whether we want it to or not. And everyone supposes they’re right. But they’re only right if the county no longer cares what it looks like, and no longer cares what made it special in the first place. This week, we successfully delayed a development in the Town of Walworth. This week, I have taken a breather after three months of consistently and aggressively fighting this proposal. But this week is more than that, this week is the week that the residents of Walworth County stood up for the future of this community. This week, a town board listened. But the battle is far from over. Developers will continue to see the incredible wealth of Walworth County and seek to exploit that with high density housing. The task now is to remain vigilant, because the default position on development is to approve it, not to scrutinize and ultimately reject it. This week, it has never been more clear that Walworth County will no longer bow at the feet of Development which seeks to profit at our expense. I have not lived in Williams Bay since 1998. Williams Bay, however, is my home town and it is the town that I will name whenever someone asks me where I’m from, no matter where I am when they ask, or where I live at the time. I am from Williams Bay. Because of this, I’m concerned about Williams Bay, and I wish nothing but the best for it. That’s why I’m once again having to explain what happens when out of town developers invade small communities. 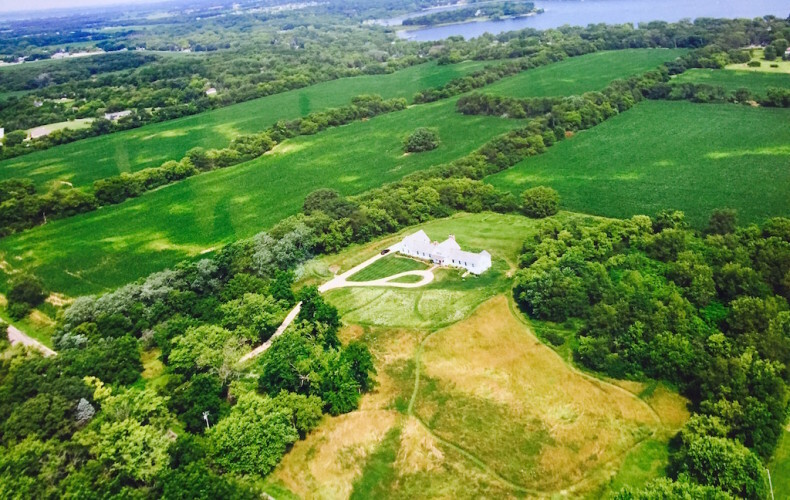 Kane County Shodeen has once again set his sights on development in Walworth County, this time in Williams Bay. It wasn’t enough that he once proposed 4000+ units in Delavan Township, and now has 623 nearly approved near that original proposal site, with 180 more approved in Walworth, and 123 proposed (soon to be denied) near my house in the country. His appetite for development is seemingly insatiable, and now Williams Bay is in the cross hairs. 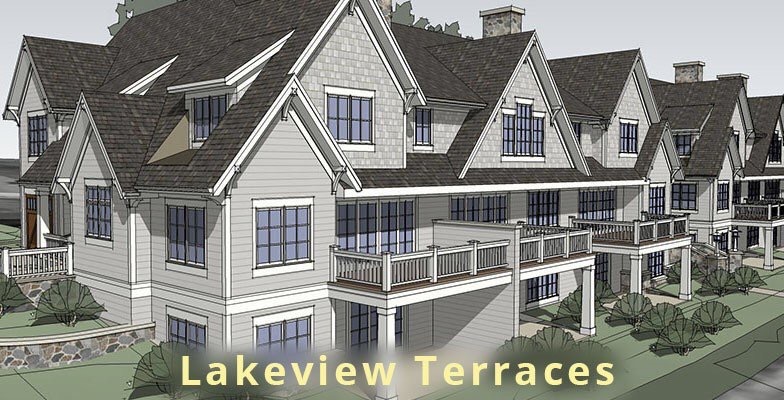 His development proposal, according to a Lake Geneva Regional News article, is for the Keg Room property on the corner of Geneva Street and Walworth Avenue. For those unaware of that location, it is, quite simply put, the most visible corner in the village. 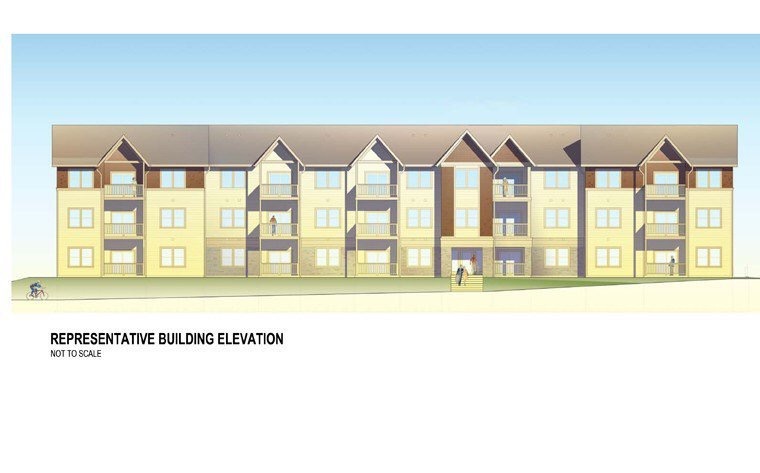 The plan seeks to cram 31 units (28 small condominiums and up to 3 commercial spaces) on a corner that was previously approved to host just 16 units. The small one and two bedroom condominiums will range in size from 900-1100 square feet. The corner is busy now, with traffic pouring down Walworth to Pier 290, and Geneva Street buzzing past on the North. Everyone who knows this vacant corner knows that it needs to be developed. What I know, as a Williams Bay business owner and a Williams Bay native is that this is the wrong development for our marquee corner. On a corner in Fontana, The Tracy Group is building a six unit townhouse development (pictured above), and they are absolutely beautiful. The land that Tracy is building six units on is roughly one half acre. The land that Shodeen wishes to put 31 units on is roughly one half acre. Am I the only one who sees the problem here? Tracy is putting 6 high end units in Fontana. Shodeen wants to put 31 units in Williams Bay (pictured below, courtesy the Lake Geneva Regional News). Why should Williams Bay deserve anything less than Fontana? Why would Williams Bay seek to approve a development that would render their prime corner a Kane County Special? Williams Bay has, for quite some time, wished for a revitalization of their downtown. I helped the cause, building a beautiful cottage style building for my real estate office. I built a small, shingle style property that blends with the surroundings and respects the historical aesthetic of Williams Bay. But I did this because I’m from here, and I care what my hometown looks like. I want your view, as you drive through my town, to be pleasant. A Chicago developer comes here and sees only dollar signs, and if a 45′ tall building with underground parking and an apartment appearance is perceived to be the best way to make money, then that’s what will be proposed. It’s back to the question of density and of style and of our intentions with this lovely county we call home. What are we trying to achieve here? Are we trying to grow and grow and by doing so lose our native appeal? I’m not anti-development on the Keg Room property, I’m anti-this development on the Keg Room property. I love the village of Williams Bay and always will, and it’s for that reason that I’m forced to fight for its future. Some will say that the future is development, and it’s best to let it happen. Those are the people who see development in all shapes and density as a positive, and those are not the discerning people who each community needs in order to protect its identity. The lazy response to development is to sigh and approve it, to say it’s inevitable. The responsible approach is to question every aspect of it and if it doesn’t fit with the community, it should be quickly, and effortlessly denied. I recognize I’m sounding a bit too Erin Brokovichy lately, but unfortunately I have to be this way. I care too much about this lake, this village, and this county, to idly sit by and watch a developer from Chicago change the nature of this place. I sell real estate here because I love it here. I live here because I love it here. I am raising my children here because I hope that they, one day, will recognize what a special place it is. For those reasons I must fight, and I need your help. I want to keep Walworth rural, and I want to keep Williams Bay’s most important corner free from density. If the developer wishes to withdraw this plan, I shall wash my eyes with bleach and consider the next plan. If the next plan looks like the Tracy development in Fontana, with 6-10 units in total, I’ll be the biggest proponent of the new plan. Until then, it’s a fight, and I’m far more motivated to defend my community than anyone might have previously guessed. Please reach out to the Village of Williams Bay officials and tell them we don’t want this development front and center in our quiet beach town. Geneva Lake isn’t going to freeze this year. Even though it is still meteorological fall and not at all yet real winter, it’s late enough in December that the ruling is in. No ice this winter. 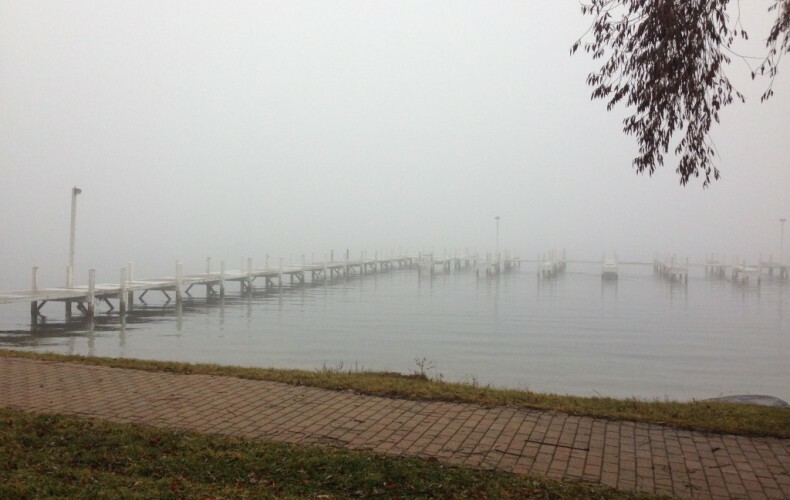 Geneva Bay might freeze during some cold snap that will assuredly come in January or February, and Williams Bay may ice up to Gage Marine, but the vast majority of this lake will not see ice over this winter. You can carve that in stone, though it would be easier to carve it in ice, but as I mentioned, there won’t be any of that lying around. Geneva has gone iceless a few other times. The 2001-2002 winter never brought us ice. 1997-1998 was an El Nino winter, and we didn’t freeze then, either. 1997 wasn’t that long ago, but I can’t remember a bit of it. I sold real estate that winter, and in the years before this blog and before any pattern of sales, I’d sit in my office and wonder what it was I should do. I wore a shirt and tie then, I tried so hard. There was a boutique next to my office then, and I figured that the men would want something to do while their wives and girlfriends shopped for trinkets. So I spray painted a big piece of plywood with: “BEARS GAME ON INSIDE”. No one ever came in to watch, and it’s a good thing they didn’t, because my television was an old tube TV and the reception was scratchy. How embarrassing that entire winter was, both for me, and for ice. The 2001-2002 winter is one that I can’t remember, either. I was recently married then, and 9-11 had just occurred and left us preoccupied with thoughts of war and revenge, with scenes of burning buildings and horror. I don’t remember doing anything special that winter, though I do know I went on my honeymoon to Hawaii in September and then in December I surprised my new wife with a vacation to Florida. I know now that I completely ruined any positive response from any spontaneous vacation from then until now, and from now until I die. You can’t take your new wife on vacation in September and then take her again in December, because by February she’s disappointed in you because you didn’t take her to Fiji. This was my error that winter, and the lake never froze. This winter, it’s not going to freeze either. The good that comes from this is tangible. There will be far more fish in the lake next summer. The ice fishermen, if not able to drill holes and sit on upside down buckets, won’t be cleaning out hundreds of thousands of panfish as they would in a normal, frozen winter. They won’t be jigging for lake trout and harvesting 100 or more over a winter season. There will be far more fish next year, because the fish will rest this winter, unmolested and free of the baited hook. As there will be no action on the lake this winter, less trash will end up in the lake. Nothing will get lost in the snow and melt into the lake in early April. The lake will be free of trash and free of fishermen and next summer we’ll be swimming far earlier than normal. The bad that comes from this is also tangible. Though Geneva doesn’t struggle with weed issues like Delavan and every other lake in the area, it does have seaweed, because it’s a lake. Without ice and snow cover, light reaches those weed beds all winter, and the growth of those weeds never entirely ceases. A thick cover of ice and snow blocks the light, and in a heavy cover winter the seaweed will die, and it will die hard. This year, it won’t, so next summer we’ll be swimming earlier, surrounded by more fish, but also with a few more weeds to contend with. I’ll look back at this winter in another decade, and I’ll hopefully remember that the ice never came. With any luck, I’ll also remember this winter as the start of when Walworth County took back control of its land, and preserved its farming heritage while beating back the developer’s plow. I hope and pray I can remember this winter fondly. 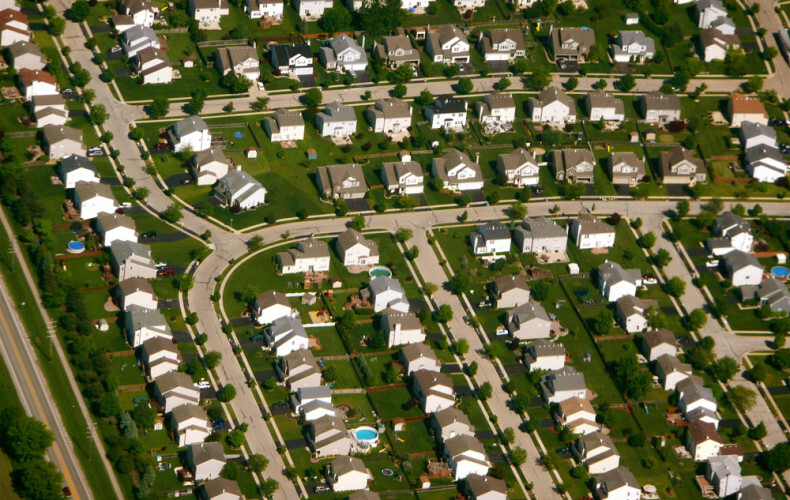 When will this county stop bowing at the feet of Illinois developers who wish to turn our rural, recreational countryside into an extension of their crowded, congested suburbia? A new week, a new Shodeen development on the front page of the newspaper. A new promise that this development is needed and exciting, that this plan to turn a corn field into a mirror image Hoffman Estates is just what we hayseeds of Walworth Township need. Sadly, the development is none of that and should be unceremoniously and quickly dismissed before the first angry townhall meeting (January 5th, be there) is held. The development, according to the snippets of information that have been released, is to consist of 120 homes on the North end of Walworth Township. This is intentionally vague, as the real plan likely includes the future development of adjacent lands, bringing the total homes to somewhere between 200-300 new homes (or duplexes, condominiums, etc, this is not for sure, just a common sense opinion based on adjacent lands). The Illinois developers have promised us that this will be a “conservation community”. They must not realize that we know conservation community is a disingenuous label. It’s a zoning term that implies high density with some paths of grass, but mostly it’s a marketing label that developers use to pacify township boards. If conservation is the goal, then the developer should plant native prairie on the entire parcel and turn it over to the municipality for use as a park. We can walk our dogs there and watch the wildflowers bloom. I’ll donate the first bag of seed. But conservation is never the goal, it’s just a simple buzzword that developers use to placate us simpletons who live in the sticks. It’s also a word that describes a development with horrible clusters of high density, intermixed with some trivial open lands that the developer wasn’t going to be allowed to use anyway. Shodeen currently has 623 proposed units in Delavan Township. Hundreds more wished for on the south end of Walworth, in Walworth Township, and perhaps thousands in the lush fields south of town in the Big Foot Prairie. (Exactly how many units are going where is uncertain to me.) There’s also the new 18 Townhome development overlooking the post office in Fontana. But what they say we need is even more development, because, because- growth! And apparently the rich agricultural fields of Walworth Township is where they think we deserve subdivision after subdivision so we can be indistinguishable from the developers Illinois hometowns. There’s some odd adherence to a belief that this county needs continual population growth. Why? We live in the country because we love the country. We moved out of the city and into these townships because we wanted our neighbors to be the cows and the roosters and the sunsets over wide fields of corn. We didn’t move to the country to wait for the developers plow to come and provide us with the sort of housing that a Chicago consulting firm determined our planning commissions would likely approve. We didn’t move here so a developer can make millions of dollars while destroying our sweeping countryside views and stealing our quiet with new homes and bulldozing in roads where there previously were none. From 1963 to 2000, 22,971 acres of farm land in Walworth County has been lost to development. Isn’t that enough? Woodstone 42 “conservation” lots in Linn. Only 10 homes built in the last 10 years. 76% vacant. Meadowview 35 “conservation” lots in Linn. Only 3 homes built 91% vacant. Bailey Estates approximately 190 platted lots walk distance to Williams Bay school, city water and sewer. 28 built homes in almost 10 years. 85% vacant. Whitetail Ridge 25 “conservation” lots in Walworth. 9 built in almost 10 years. 64% vacant. Cliffs of Fontana. 66 lots in Fontana, walking distance to the lake. 14 built in almost 10 years, no word how many are specs or otherwise unoccupied. 79% vacant. Walworth Prairie. 69 lots in Walworth, walking distance to school and downtown. 4 built properties, including sales center. 94% vacant. 96 approved units Townhall Road. Previously town of Walworth, annexed to Fontana. Sitting vacant, unbuilt, undeveloped. Just waiting to flood the market with more inventory. 100% vacant. Darien Ponds. 61 platted lots in Darien, walking distance to town. 9 built homes. 85% vacant. Prairie View. 98 platted lots, walking distance to Williams Bay school, city water and sewer. 43 built in nearly 10 years. 56% vacant. Troy Hill Estates. 6 built homes. Today, there are 48 vacant lots. At the current absorption rate, the development should be filled to capacity in the next 48 years. Sugar Creek Preserve. 52 lots, 10 built homes (including one under construction currently). There are 42 vacant lots that are empty today. The 10 built homes were completed over the past 10 years, which tells us that we have only 42 years left before the vacant lots are filled with happy homeowners. The Oaks of Delavan Lake. 16 lots, conservation style. Today, there are 2 homes built. There are 14 vacant lots in this lovely development. At the torrid absorption rate of 1 home every 4 years, the development should be full of happy homeowners in 56 short years. Sharon Green. There are 32 lots in this subdivision, with 3 built homes. Not all is lost, however, as a farmer has been farming the vacant lots and bails of hay now line the single cul-de-sac road, and those hay bails do lend a nice country vibe to the empty subdivision. With 3 homes built in 10 years, it will only be another 96 years before the development is full. Highfield Glen on Stateline Road (Walworth Township) was proposed in the early 2000s and completed in 2003. That’s just about 13 years ago. It’s a beautiful cul-de-sac, fully wooded, for 100% privacy of both the residents, and the township neighbors. The lots were in demand, they said, and so the town approved a subdivision of 15 lots. Since 2003 there have been 4 homes built. If you know anyone looking for a vacant lot in Walworth Township, there are 11 of them over in Highfield Glen. Two were foreclosed on. Growth is good, except there’s no growth when there are no buyers. Current Town of Walworth Market Statistics: 16 available single family homes per MLS. Average lot size of those 16 homes is 9.64 acres. And there are many, many others already approved and platting and sitting vacant. This ignores all of the examples in Elkhorn, Lake Geneva, and outlying townships. These figures are approximate, but represent a startling truth. Overdevelopment is an epidemic, and it’s one that our planning commissions have caused by siding with developers rather than the constituents that they were elected to serve. The zoning boards and neighbors and those in position of some authority felt they needed to comply, because growth, they’ve been told, is good. What they failed to understand is that growth is determined only by demand. The demand, as evidenced by these examples (there are many more), is no where to be found. We built it, and they didn’t come. And if they didn’t come during the largest housing boom in history, why would they come now on the heels of a soft recovery with the promise of rising interest rates looming on the near horizon? The questions are rhetorical, because the answer is obvious to everyone who isn’t a greedy developer. Basic market studies would show the townships and county board that currently there are more than 771 vacant Walworth County lots listed in the MLS. There are many more listed for sale by owner. More still when you consider most developments will not list every available lot in the MLS, keeping some back to show less daunting inventory totals. It isn’t a stretch to assume there are more than 1300 vacant lots for sale in Walworth County today. How many does the MLS tell us sold last year? 154. That means we have at least eight years of market inventory now, not counting the approved developments that have not yet been started (likely around two thousand or more vacant parcels that are coming soon). Not counting the platted lots that are not on the market now but assuredly will be. What reasonable person could read these actual statistics and suggest we need more housing? From a market perspective, unnecessary, superfluous development puts downward pressure on existing homes, and discourages the improvement of the existing housing stock. Why remodel what’s already built when there’s always another corn field about to be bulldozed? There are more than 1300 built homes and condominiums available in the MLS today, which means we could sustain years (a decade?) of growth by just absorbing our current built inventory. Unwarranted, unnecessary development changes the nature of a community, and I do not recall the Walworth Township Referendum wherein we all voted to trade our farm fields for tract homes. If every development proposed was to be constructed in the backyards of those on the planning commissions, no development would ever be approved. This new Shodeen proposal is in my back yard, a back yard that I love dearly. The back yard that I built my family home on, the backyard that should be protected by adjacent Agricultural Zoning. If I had a vote, I’d vote no, this is obvious. But I’d vote no because I know that Illinois developers do not speak for this county, and I’d vote no regardless of whose backyard the development seeks to destroy. To my Walworth County loving friends and elected board members, this development is a problem that we can fix before it even begins. Tell them no. If they don’t listen, tell them no again. I hear Schaumburg would love 120 new homes. Contact the Town of Walworth and Walworth County offices to let your voice be heard, before we have another farm field welcoming homebuyers that don’t exist. Let’s keep Walworth County Rural.